David A. Hendrick is a triple Board Certified surgeon. He is a diplomat of the American Board of Cosmetic Surgery, the American Board of Facial Plastic and Reconstructive Surgery, as well as the American Board of Otolaryngology – Head and Neck Surgery. He received his undergraduate degree from the U.S. Naval Academy in Annapolis in 1981 and his medical degree from the Medical University of South Carolina in 1991 where he distinguished himself by receiving the Melvin H. Knisely Award for Scholarship, by winning First Place in the University-wide Student Research competition, and by being elected to Alpha Omega Alpha Honor Medical Society. Dr. Hendrick completed a General Surgery internship at St. Joseph Hospital in Denver, a residency in Otolaryngology – Head and Neck Surgery at the University of Colorado Health Science Center in Denver, and a fellowship in Facial Plastic and Reconstructive Surgery at the University of Illinois in Chicago. Dr. Hendrick has lectured to national audiences of physicians and has written numerous articles and book chapters on cosmetic and reconstructive surgery topics. He has been awarded the American Academy of Cosmetic Surgery’s “Award for Excellence in Cosmetic Surgery Education” from 2002 through 2006. 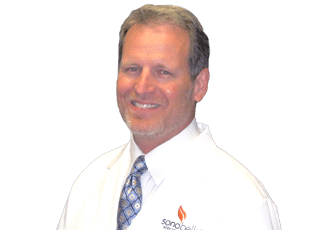 Dr. Hendrick has four children and in his spare time, enjoys golf and is a gourmet cook, fine arts lover, avid woodworker, experienced backpacker, and a licensed instrument-rated pilot.